Some games override f.lux. There's nothing you can do about it. @h0pE65 Are you in fullscreen or windowed mode? Windowed mode usually uses the f.lux or desktop colors. Borderless windowed mode is also a nice option so you can switch between programs but still have the game displaying over the entire screen. In Windows Vista and 7, you will have to disable "Aero" to stop DWM from adding input lag to the windowed game. From Windows 8 onwards, you cannot even do that. 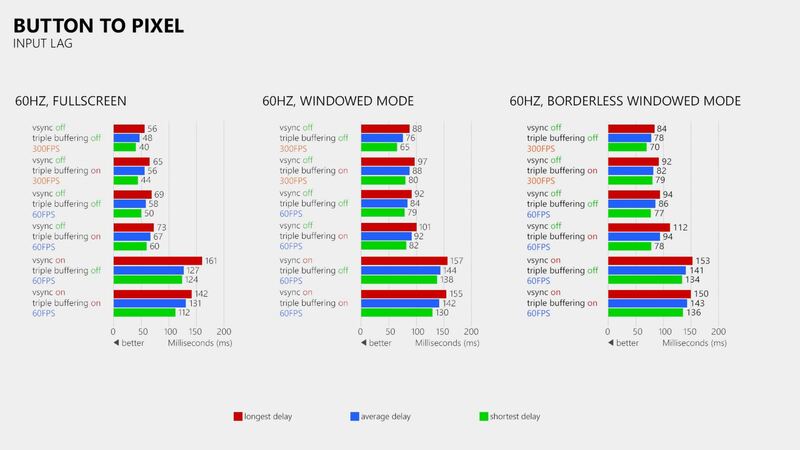 You must play games in fullscreen if you want minimal input lag. This is fine if you are playing a casual game more focused on immersion and the like, but not for competitive eSport titles where input lag is incredibly important, such as CS:GO. Speaking of games, another problem: GPU rendered cursors cannot be changed by f.lux. Changing it to a software rendered one means some games in fullscreen that rely on the OS' hardware rendered cursor will end up with no cursor, and it is difficult to navigate the menus having to "guess" where the cursor is based on the buttons highlighting or not. Depending on the UI design, there may not even be highlighting on hover. I was hoping Microsoft would be able to do something about that in their Night Light implementation in Windows 10's Creators' Update, since they made DirectX, but to no avail.